Despite being situated off the west coast of the African continent, the Canary Islands offer a fine mix of Spanish culture, warm temperatures and relaxing beaches. There are seven Canary Islands, each of which originated as a result of volcanic activity. The largest of these islands is Tenerife – home to a stunning array of natural features and vibrant lifestyle. Around five million sun-seeking tourists visit Tenerife every year – more than any of the other Canary Islands. With Pullmantur cruise itineraries to the Canary Islands, you can find out for yourself why Tenerife is a hit with holiday-makers. We take a closer look at what you can look forward to during a visit to this Spanish island paradise. 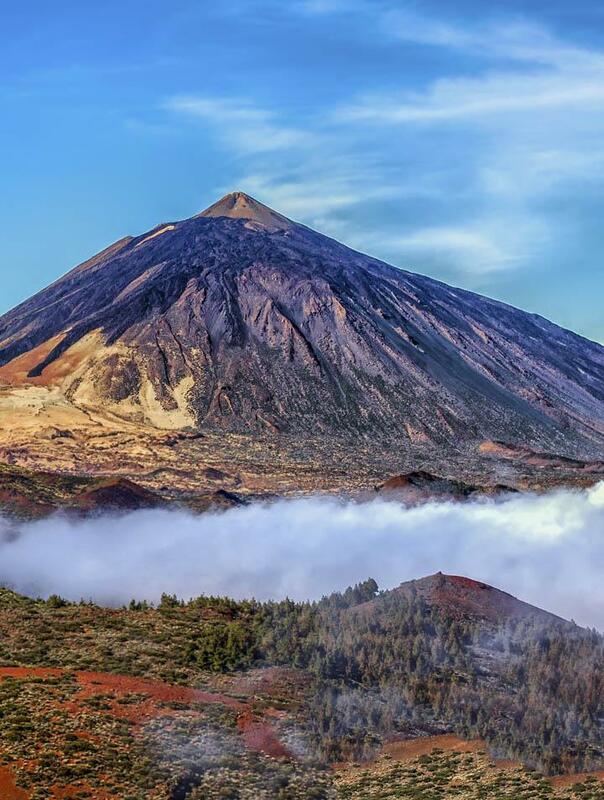 Perhaps the most instantly recognisable feature of Tenerife is the towering volcanic mountain of El Teide. Standing at over 12,000ft tall, this often snow-capped mountain holds the tallest point in all of Spain and is the third tallest volcano in the world when measured from its base on the ocean floor. It is thought to have erupted frequently throughout history, with the last eruption being in 1909. Today, the volcanic mountain and surrounding national park hold UNESCO World Heritage status and all that stands between you and the summit is a ten minute cable car ride. Admire this stunning national landmark and witness the panoramic views across the whole of the island that will take your breath away. Tenerife is home to many historic old towns, but perhaps one of particular note is La Laguna, which can be found in the north-east of the island. This once colonial-walled city was made a UNESCO World Heritage site in 1999 and much of the area has been incredibly well preserved. Beautiful historic buildings fill the streets of La Laguna and depict the history of what is thought to be the first established city of the Canary Islands. Be sure to visit architectural wonders such as the neoclassical cathedral, La Iglesa del Cristo and the various palaces and convents. Wonderful architecture is finely combined with a large pedestrianised shopping area, busy bars and a historic university. La Laguna has something to offer for everyone. The location of Tenerife, off the west coast of Africa, presents visitors with the opportunity to enjoy warm weather all year round. Unlike the Mediterranean, the climate of the Tenerife is subtropical and is influenced by the latitude of the Sahara Desert. Some beaches are volcanic and may appear slightly grey in colour, whilst others shine a beautiful golden yellow. Wherever you are located on the island, it is likely that you will never be too far away from a beach. There are over 70 beaches to be discovered, each of which can offer something different such as ideal surfing waters, golden sands, or peaceful tranquillity. Depending on how much time you have in Tenerife during your stay – you may want to travel to specified beaches. Certain beaches to keep an eye open for include Beach Ajabo, Playa Chica, and Playa de Alcala. Tenerife presents one of the most beautiful and tranquil European holiday alternatives to the Mediterranean. The subtropical climate on the island is influenced by the Sahara Desert and there are plenty of cruises from Pullmantur that can take you there. Similarly, if you love beautiful landmarks and want to experience something different – Pullmantur also offer cruises to the Baltic and Norwegian Fjords.